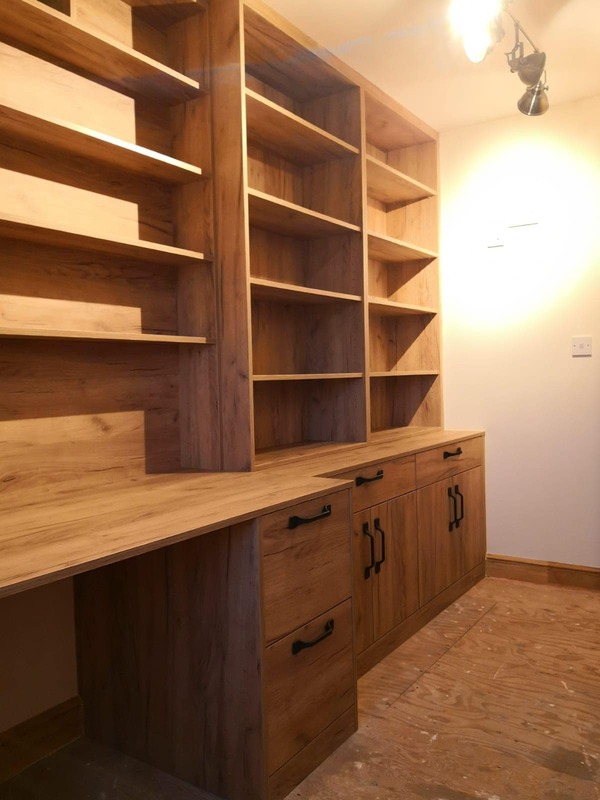 Our most recent customer was looking for a company who could provide them with bespoke office furniture so they could store all of their bits and bobs. 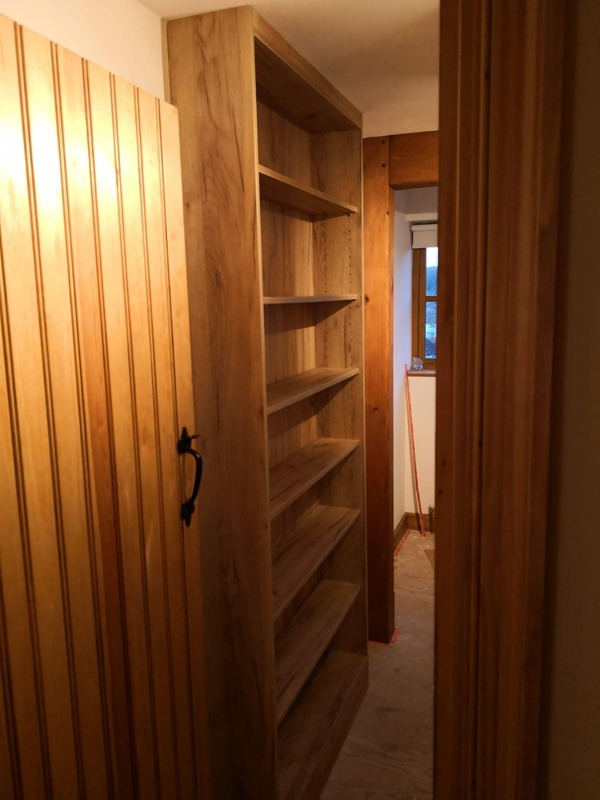 After discussing what the client wanted with one of our design technicians, we decided that with all the storage the client wanted one of the best ideas they could have is to provide them with an integrated storage system. 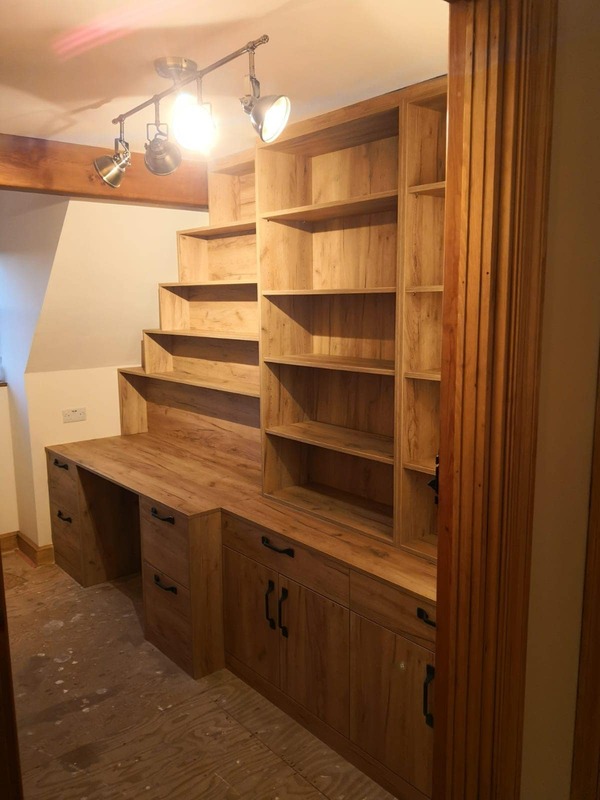 To give our client the space to work and store all of their belongings we incorporated a desk into the storage system, which meant they could utilise the small space they had. 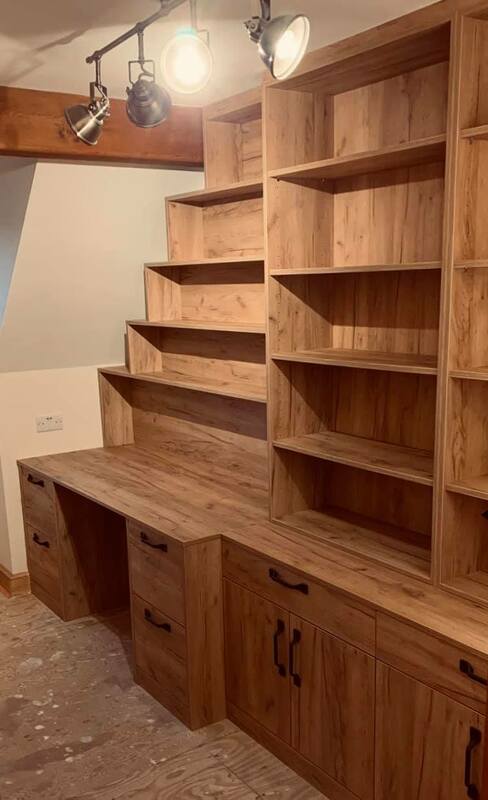 It was a delight to work with the team at Furniche; they worked hard to provide us with exactly wanted and even went above and beyond on recommendations for our home study. I would definitely recommend them for their professionalism and expertise!